If you think only of sturdy, masculine and purposeful watches when you think of Hysek, it’s probably time to take another look. Kalysta, which was first introduced last year and is now in stores, takes a much more feminine approach to timekeeping, and it is Hysek’s first collection of mechanical and quartz, jeweled timepieces for women. 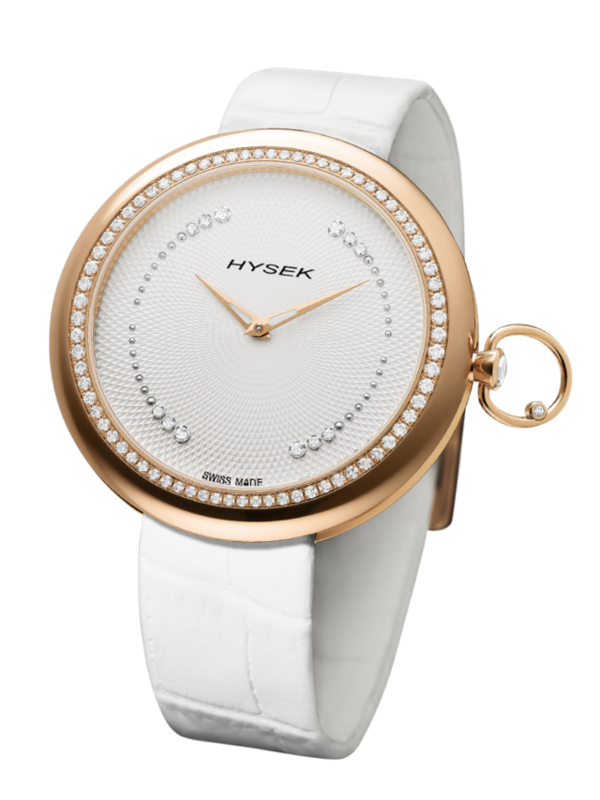 Hysek plans to add new Kalysta models at Baselworld 2017. “Kalysta was first available in our boutiques at the end of 2016, and the immediate reaction was really positive, says Hysek CEO M. A. Aljord. “It was the first time Hysek worked on a lady-specific collection; its universe has always been very masculine, assertive. We had to re-invent our aesthetical codes, to make way for curved lines and slimmer cases,” he continues. The new-ish Kalysta, which is the Greek word for “fairest” or “most beautiful,” is nothing if not feminine. 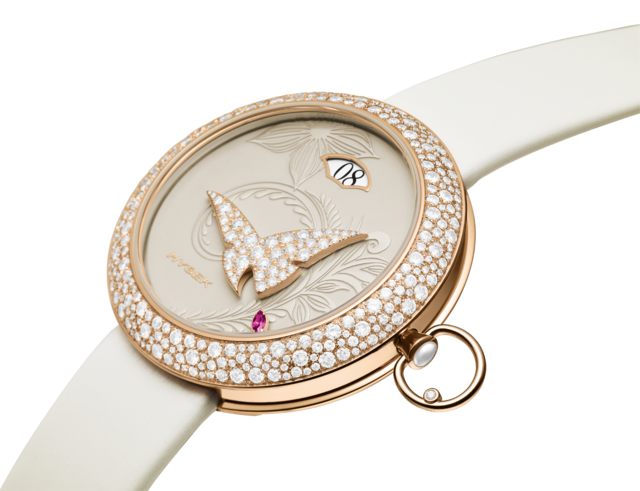 The jumping hour version (jumping hours, I must admit, are a favorite of mine) marks the hours via a window at 12 o’clock, while a marquise-cut sapphire travels the perimeter of the decorated dial to mark the passing minutes. The bezelglows withsnow-set diamonds. But I am convinced that I am not alone in my pursuit of fine mechanics in a ladies watch, which adds complexity to its overall feminine aesthetics. And the mechanical version of Kalysta fills the bill, with its self-winding mechanical movement with jumping hours. 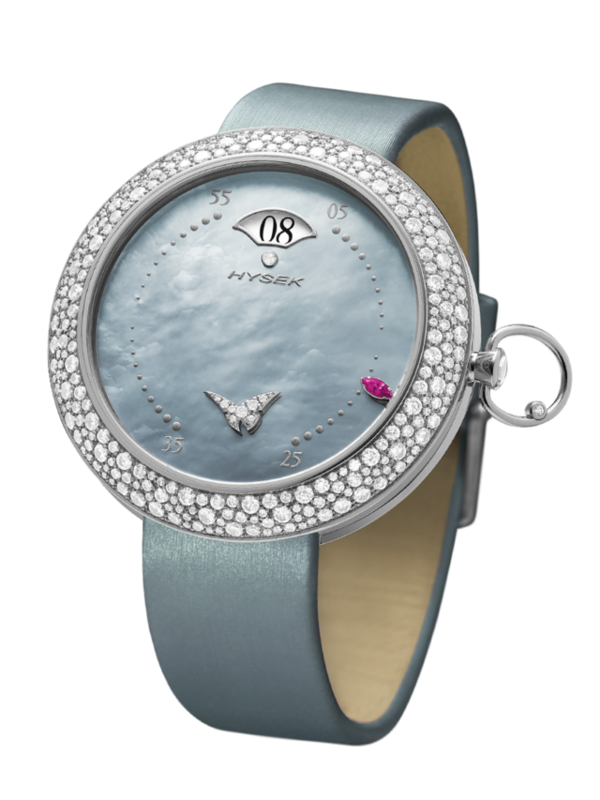 There are several interpretations of Kalysta at this time, and more are slated to be introduced at Baselworld later this month. The Exotic Tale and Heaven’s Tale versions, crafted in rose gold or titanium, are augmented by Twinkling Tale versions, which are quartz. The stone setting isnot realizedin-house but is expertlyaccomplishedby one of Hysek'skey partners in La-Chaux-de-Fond, Switzerland, selected for its exceptional work,according to Aljord. 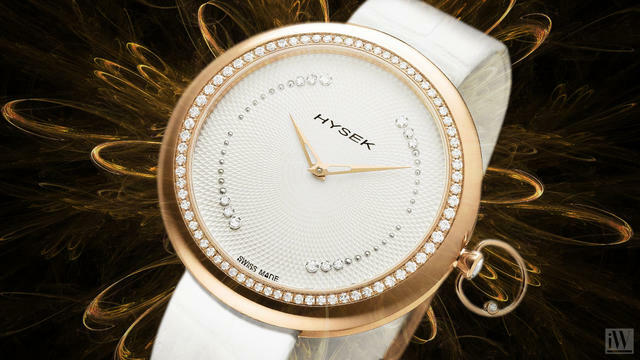 Hysek watch sales are expected to be 60 percent mechanical and 40 percent quartz. “Whether we are talking about a beautiful, set watch case, a delicate hand engraving on a dial or the complex mechanics of a caliber, the most important [goal] will always be to arouse emotion,” says Aljord. 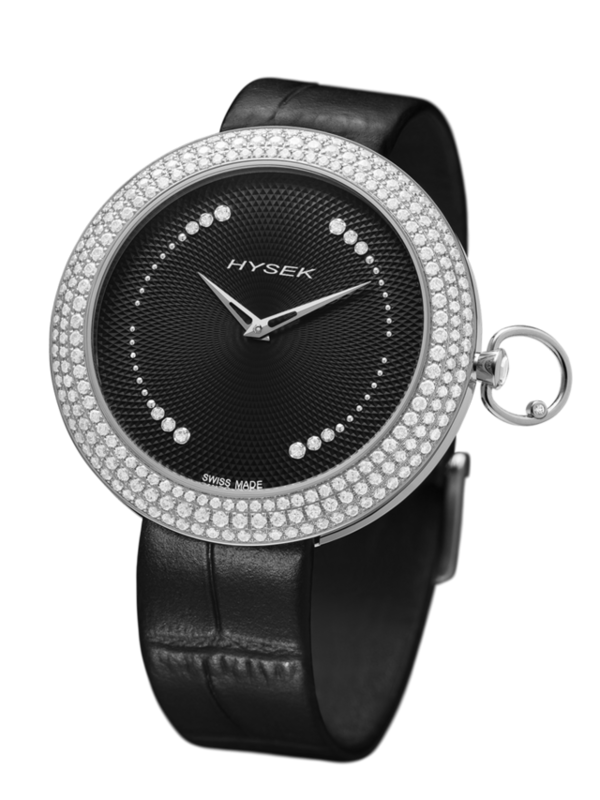 Manufacture Hysek now designs and produces watches, jewellery, writing implements and accessories. With products distributed in over 50 countries, Hysek can boast an international reputation and exposure.